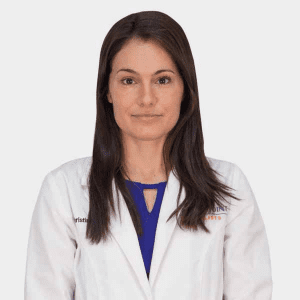 Dr. Christine M. Ellie, DPM is the podiatric foot and ankle surgeon at New York Bone & Joint Specialists, and is one of NYC’s best foot doctors. A nationally respected foot specialist, she excels in the treatment of foot pain and arthroscopic foot surgery. Whether you are seeking treatment for bunions, hammer toes, plantar fasciitis or stress fractures, Dr. Ellie will provide caring, comprehensive orthopedic foot care at every stage of treatment. With a specialization in sports medicine, Dr. Ellie regularly treats athletes at every level of competition, from elite professionals to rec league enthusiasts. If you need a foot doctor near you, Dr. Ellie’s top-notch orthopedic care will help you find relief from your condition and get back on your feet. Each of the New York Bone & Joint centers brings together expert specialists across multiple fields of orthopedic surgery, all of whom display the same level of dedication to the wellbeing of their patients. The ultimate goal of New York Bone & Joint Specialists is to provide impeccable care and peace of mind to every single patient we treat. 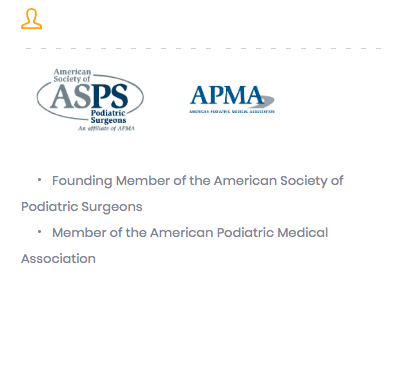 Why Choose NY Bone & Joint Foot Specialists? Bunions - A bunion is a bony protrusion on the outside of the big toe. It can usually be managed with a few simple lifestyle changes and physical therapy, but more severe cases can be addressed with a short surgical procedure. Hammertoe - A hammertoe occurs when the second, third, or fourth toe is bent to the side at the middle joint. This condition is often caused by restrictive shoes and can causes pain when moving the affected toe. Plantar Fasciitis - The plantar fascia is a thick band of tissue that runs along the bottom of the foot from the heel bone to the base of the toes. Plantar fasciitis occurs when this tissue becomes irritated and inflamed, causing pain in the heel. Foot Fractures - A foot fracture is a break in any of the bones in the foot. It can usually be treated with conservative measures such as casting and physical therapy, but if necessary, it can also be treated surgically. Morton's Neuroma - Neuromas are thickened portions of nerve that can cause discomfort and pain. Morton's Neuroma is the most common type of neuroma that forms at the ball of the foot. Symptoms include pain, numbness, or burning. For more information on your specific injury, consult the pages below. You will find comprehensive information on common symptoms, how the condition is diagnosed, our recommended course of treatment, and expected recovery timelines.